All HIDDEN VALLE homes currently listed for sale in Sandy as of 04/26/2019 are shown below. You can change the search criteria at any time by pressing the 'Change Search' button below. 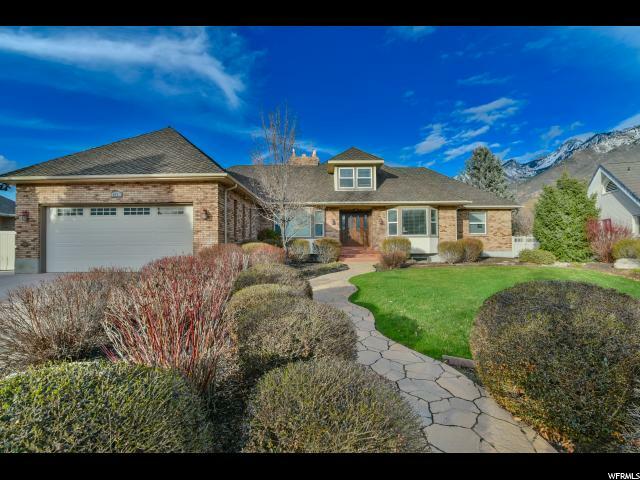 "This timeless and updated custom home is tucked into the secluded neighborhood backing Hidden Valley Country Club. This property and location are the crown jewel. The kitchen is updated with custom high-end cabinets, a butler's pantry with a full-size built-in wine fridge, Wolf, SubZero, and Bosch appliances. Amenities include a huge main floor master suite with a loft, a large separate office, a game room, mud room, wet bar, distributed audio, a newer furnace, water heater, and roof. You'll never be snowed in with a heated driveway! The back yard provides priceless entertainment opportunities with a large covered deck that wraps the back of the home, an outdoor kitchen, hot tub, waterfall, and breathtaking mountain and golf course views. Hidden Valley CC has both Equity & Social memberships available. These provide private access to two great restaurants, an amazing pool, events, and the best 27 golf holes in Utah, all within walking distance right out of your back door. "